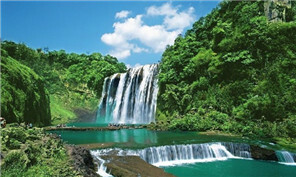 Guizhou agricultural products have been made more readily available to people in the Chinese capital Beijing. Some of the world’s most exciting tourism resorts will be flaunted at the 7th Guiyang Tourism Industry Development Conference in Xiuwen county from Oct 28 to 30. 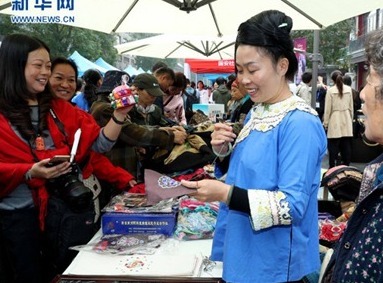 As part of a recently launched project to introduce talented individuals to opportunities in Guizhou province, authorities held several job fairs at famous universities in the country. Yijia Cave in Xingren county of Qianxinan Bouyei and Miao autonomous prefecture is no exception. 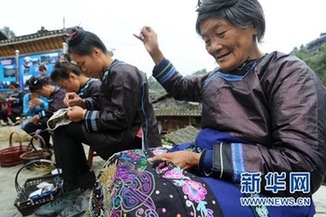 Located in the Rongjiang county, Guizhou province, the village has a unique history that can be traced back to the Ming Dynasty (1368-1644). The mileage of highways opened to traffic in Guizhou province will reach 10,196 kilometers by 2030. Xingyi city in Qianxinan Bouyei and Miao autonomous prefecture put on two concerts at the Culture Center Theatre and the Wanfeng Forest scenic area on Oct 15 and 16.